British Infantry Tank Mk. II "Matilda"
This kit first appeared in the 1960's as kit no. MT-40 both times. Each of them are out of production. 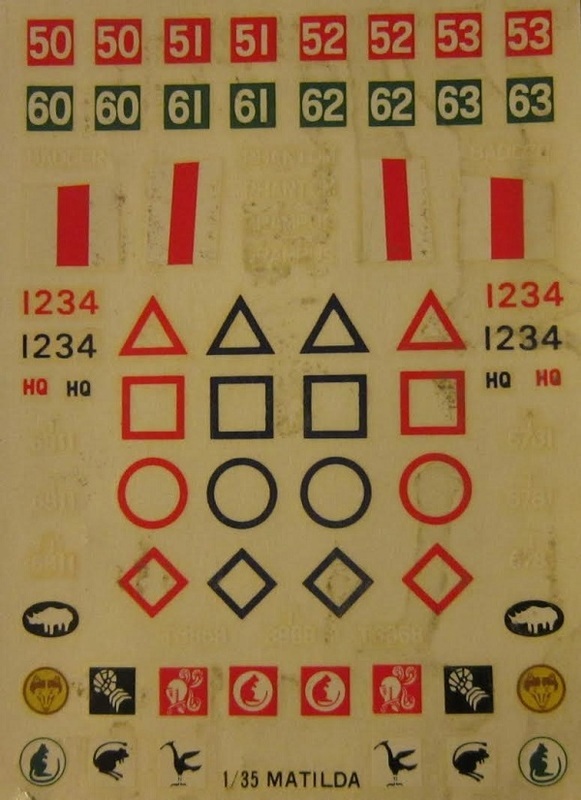 then my kit was a re-release in 1973 and it is also out of production. The kit was again re-released in 2009 twice as kit no. 35300 with 2 figures and Sprue Bros has it for $40.99. 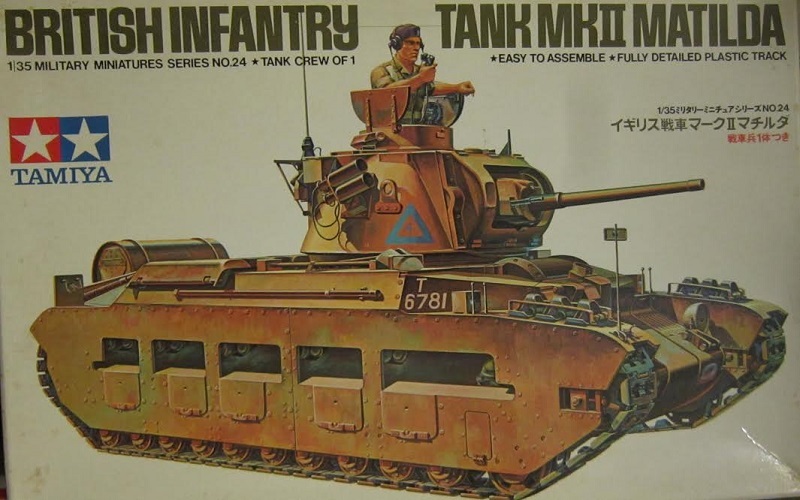 The box art shows a Matilda against one of Tamiya's signature all white backgrounds that they use for all their box arts. The tank is overall tan with a white T over 6781 on the sides and a white oval with a black mouse on it on the bow. A commander figure is standing in the top turret hatch wearing a beret and head phones and taking into a microphone. 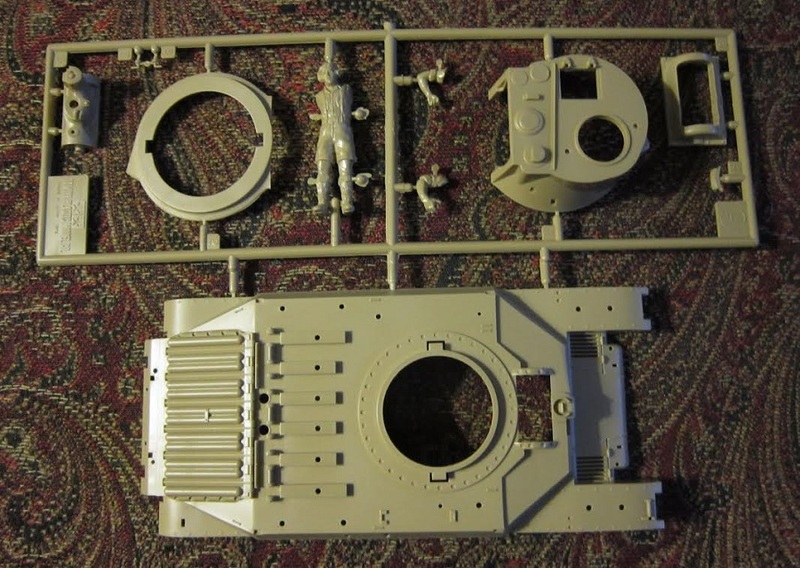 This kit holds 4 tan parts trees in a cello bag, a loose tan hull tub part, a black vinyl treads tree, the decal sheet and the instructions. There are no clear parts. 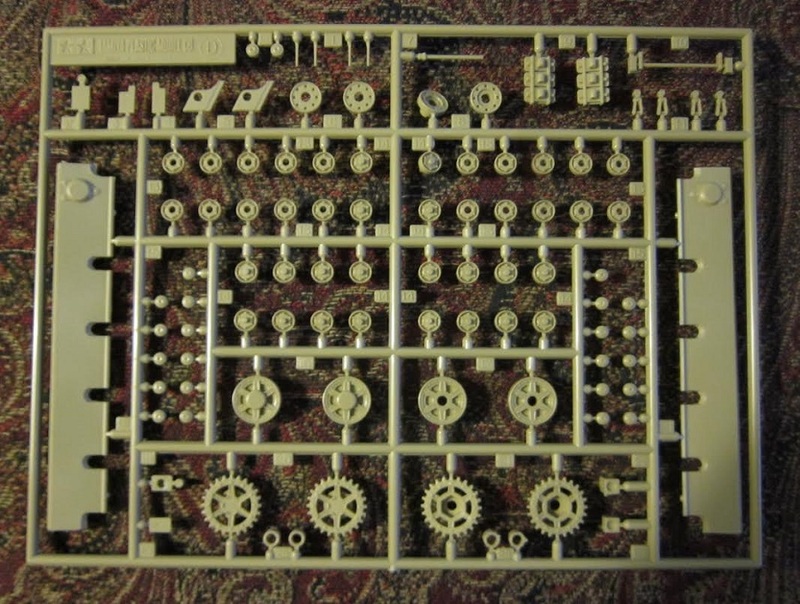 ​Tan letter D tree holds: the inner hull sides, road wheels, return rollers, idler wheels, drive sprockets etc. 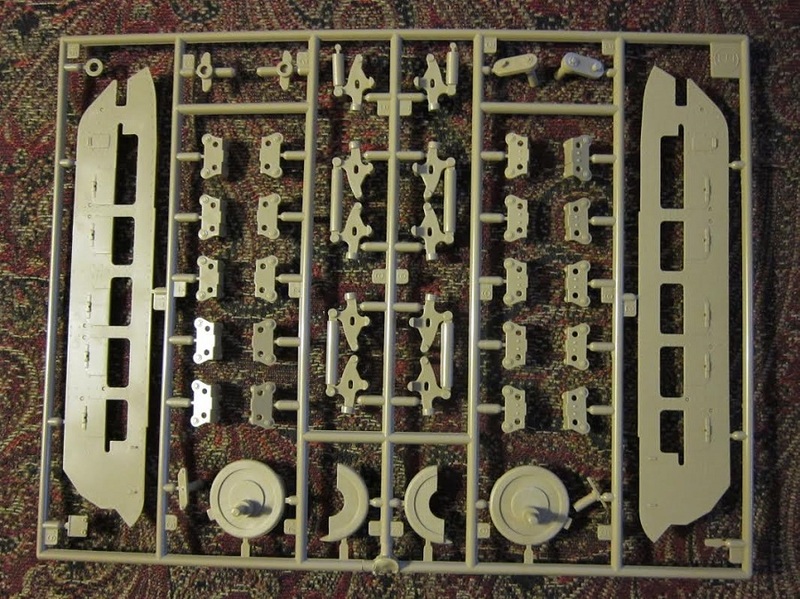 (101 parts). ​The tan hull tub part is next. ​The black vinyl treads long runs are next (2 parts). These are the old type that have to be heat riveted to join the ends into a loop, not the newer glueable type. ​There are no interior details for inside the hull or turret. 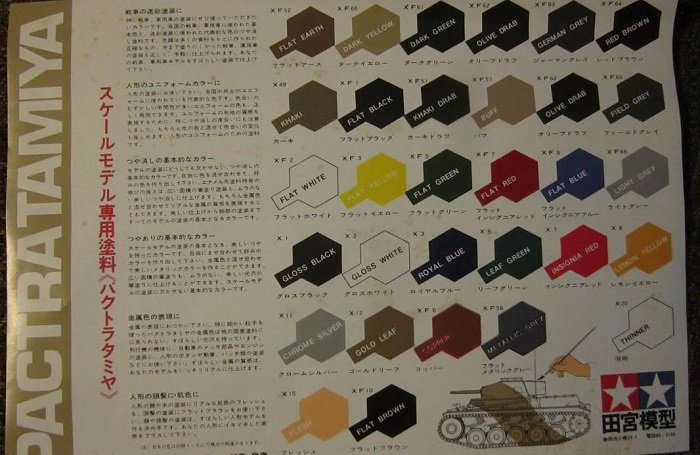 There is a sheet in the kit that shows color patches of Tamiya hobby paints. 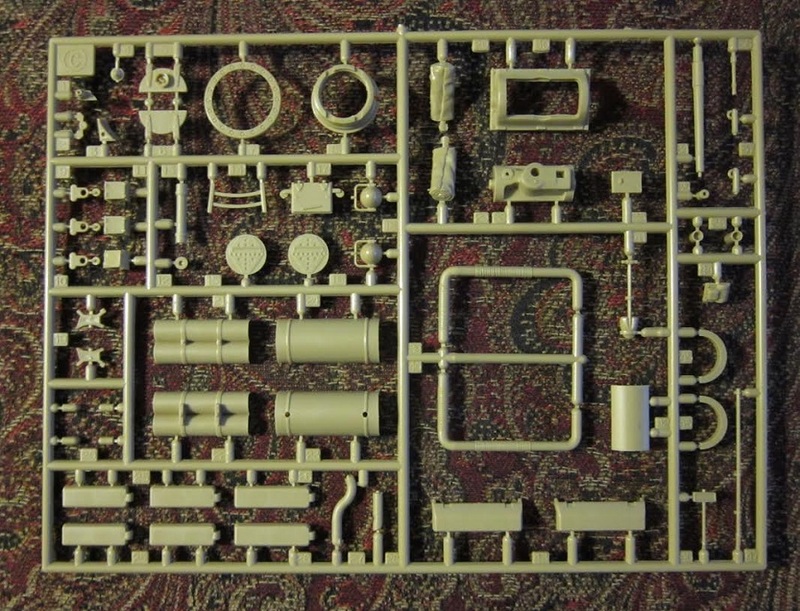 This is a nicely detailed kit externally. The hull tub has motorization holes to be filled on it for a static model result. Recommended. I bought my kit back in the 70's at my local hobby shop.